Intelligent Light announced the release of FieldView 16.1 for CFD results visualization and postprocessing and including the most resolved issues and feature requests in any recent FieldView release. See video below. Beta CAE released v17.0.3 of their software suite. CPFD released Barracuda Virtual Reactor 17.1 with performance improvements, both computational and setup time. Open-source quadrature-based moment method code OpenQBMM has an updated website. MSC Software announced Easy5 2017, the latest version of their “advanced controls and systems simulation” software. Screen capture of FieldView 16.1 in action on a dataset from FOI. Click image for video. See link above. A proposal to allow Formula 1 teams to use more CFD was voted down. Here are four things to consider before applying CFD to gas-fired emission control systems. #3 Can important details of the flow path be modeled with CFD? How ESI’s CFD and aeroacoustic tools are used to minimize wind noise inside a car. Citroen’s C3 WRC racer was designed, in part, with CFD. A beautiful grid pic from CFD-Based Droplet Size Estimates in Emulsification Equipment. Image from mdpi.com. Click image for article. You have until 23 January to cast your vote for Tech Briefs magazine’s reader’s choice product of the year award. There are four CAE-related candidates: ANSYS AIM 17.2, MSC Software’s MARC 2015, Tecplot 360 EX 2016 Release 2, and Wolfram Mathematica 11. Here’s Visualizing Data’s best of the visualization web for October 2016. Autodesk is EOLing (end-of-life-ing) T-Splines and 123D. Happy 1st birthday to Onshape. SimScale announced their academic program with on-demand courses and a special academic 6-month plan. Finland’s Aalto University has an open post-doc position in CFD modeling of dual fuel combustion. How close are we to CAD on portable/mobile devices? About 60%. Read how Engility delivers HPC capabilities to its government customers. 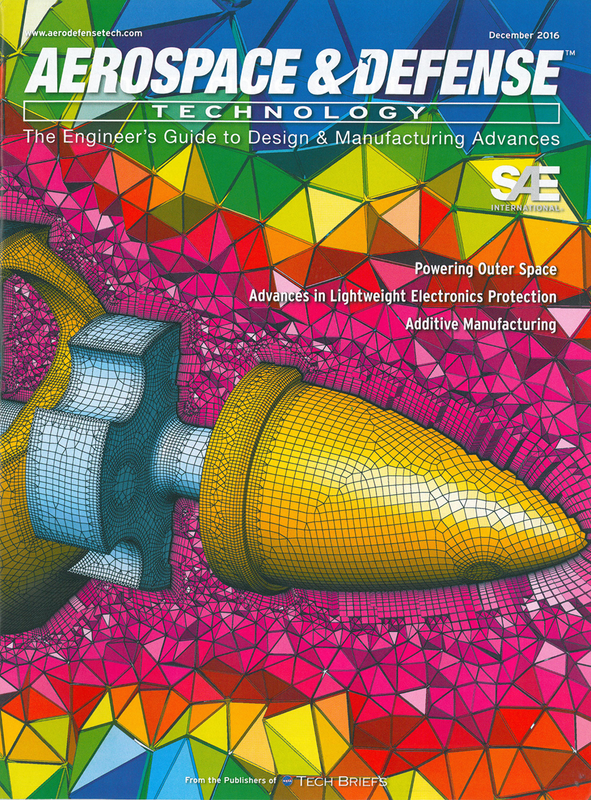 Aerospace and Defense Technology was kind enough to use a Pointwise V18 unstructured quad/hex mesh on their cover. 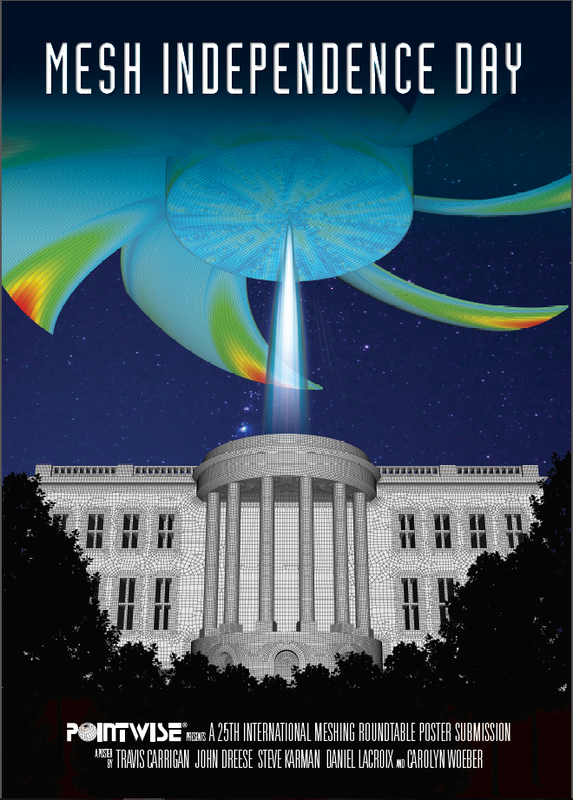 After a brief delay, we were informed that our poster for this year’s International Meshing Roundtable (combining the two contest geometries: a computer exhaust fan and the White House) was selected as Meshing Maestro. Flow Science’s 17th FLOW-3D European Users Conference will be held in Barcelona on 5-7 June 2017. Abstracts are due 21 April. Our friends at Applied CCM shared their summary of the 20th Australasian Fluid Mechanics Conference. This event will next be held in 2018 at the University of Adelaide. Lloyds Register held a workshop on CFD modeling of full-scale marine vessels. Read the same news here but with pictures. 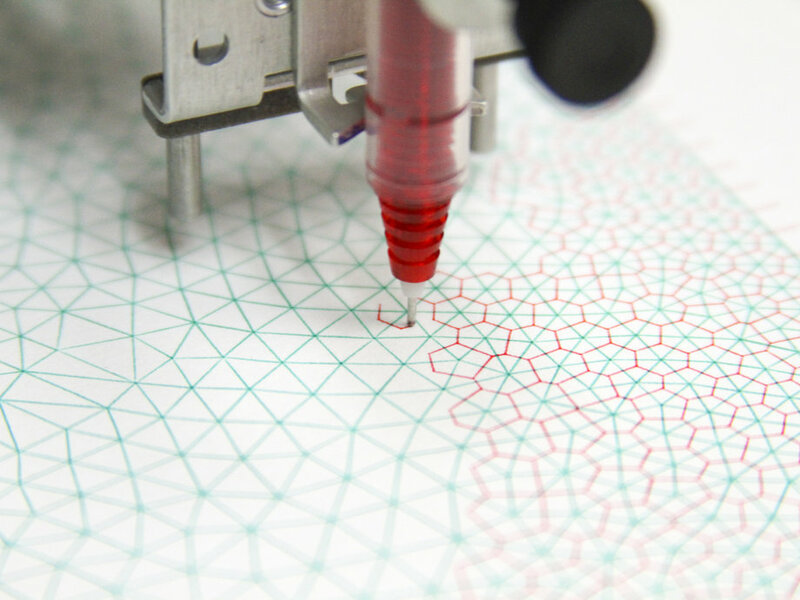 Alert reader Jacob discovered a tool that seems perfect for drawing meshes, the AxiDraw V3 pen plotter. I’m old enough to remember when all printers were pen plotters and usually huge enough to draw blueprints. But now for a few hundred bucks you can have one on your desktop. Be sure to watch the video at the AxiDraw website to see all this plotter can do. The AxiDraw seems perfect for drawing your meshes and their dual too. See link above. From our friends at TwinMesh. Beautiful. Click image for article. Want to see more fun Xmas-related CFD imagery? Check out the #SimulationFriday hashtag on Twitter. This entry was posted in Applications, Events, Hardware, News, Software and tagged ANSYS, Autodesk, Barracuda, Beta CAE, CAD, CPFD Software, Easy5, Engility, FIeldView, Flow Science, FLOW-3D, Intelligent Light, jobs, MSC, Onshape, OpenQBMM, Pointwise, SimScale, T-Splines, Tecplot, Vectary, visualization. Bookmark the permalink. Clearly my strategy isn’t for everyone, but that’s how I’ve managed the content generation/time challenge. *Per my WordPress stats, no one cares about my opinion pieces, but far more people care about solutions I’ve found. Writing anything is work, writing something someone wants to read is laborious. You’ve hit upon what I think is a key and that is teaching or offering information people might not otherwise have.